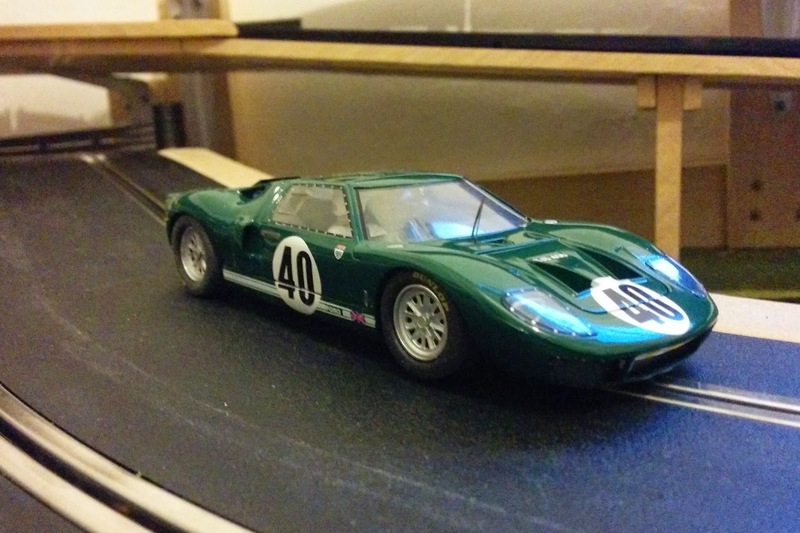 I wanted a car from the year I was born and I like the Ford GT40. There are quite a few choices, most are MK2's which were produced from 1966, a year too new. 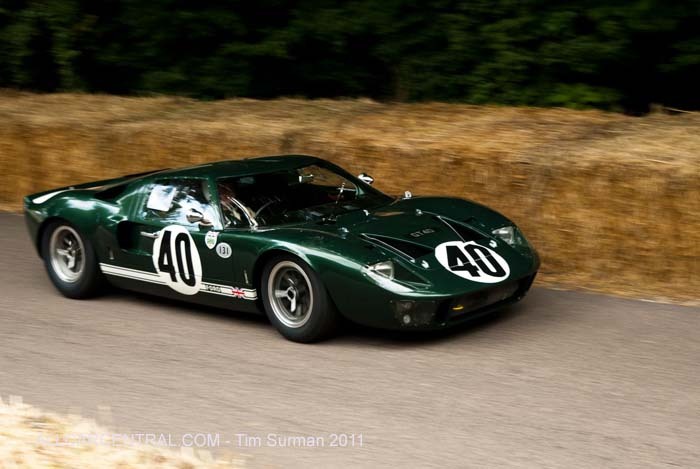 The MK1 was produced from 1964 to 1965 and continued to be raced after that. The Slot.it version is based on the livery from 1966 but I have found photos of it from the 1965 season as well. Close enough for me. The Slot.it car has a lot of detail. The plastic is very thin and the whole car weighs nothing. It feels a lot more fragile than the other makes of car I have but so far that is not a problem. 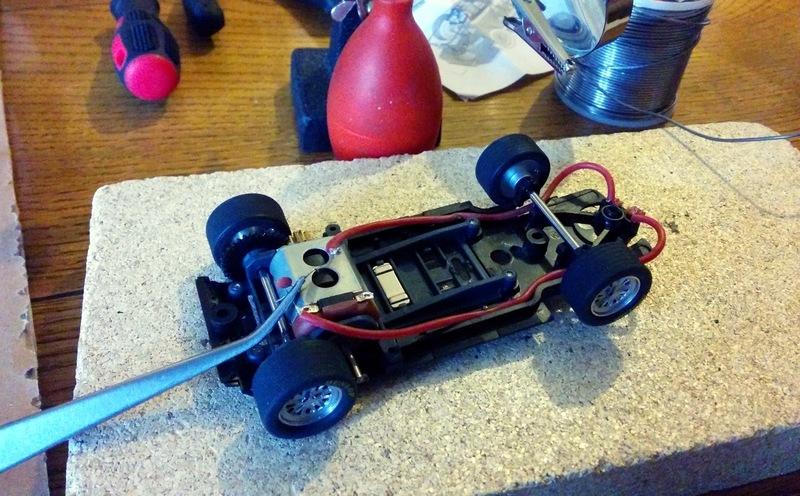 While I was waiting for paint to dry I fitted the digital circuit to the car. I had selected the Slot.it chip, expecting it to be easier to fit to the car. 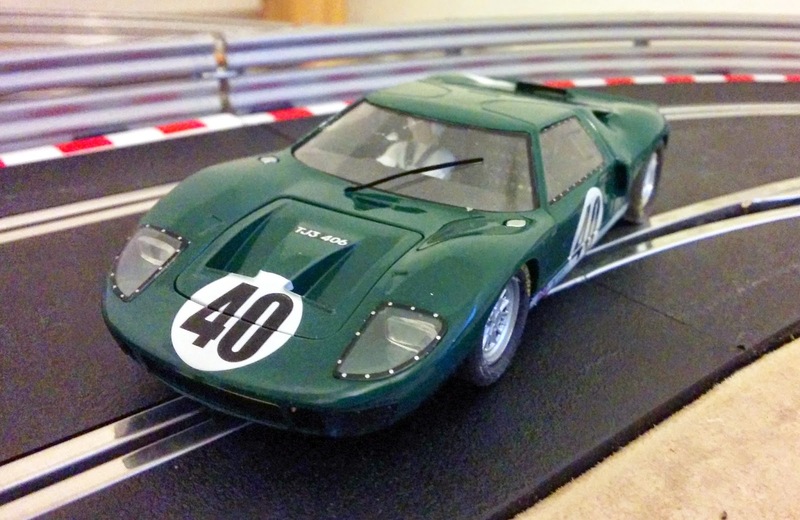 Although it is a neat shape to fit round the bolt hole and between the edges of the motor holder, it was no easier to fit than the Scalextric version. The cables are only just long enough. 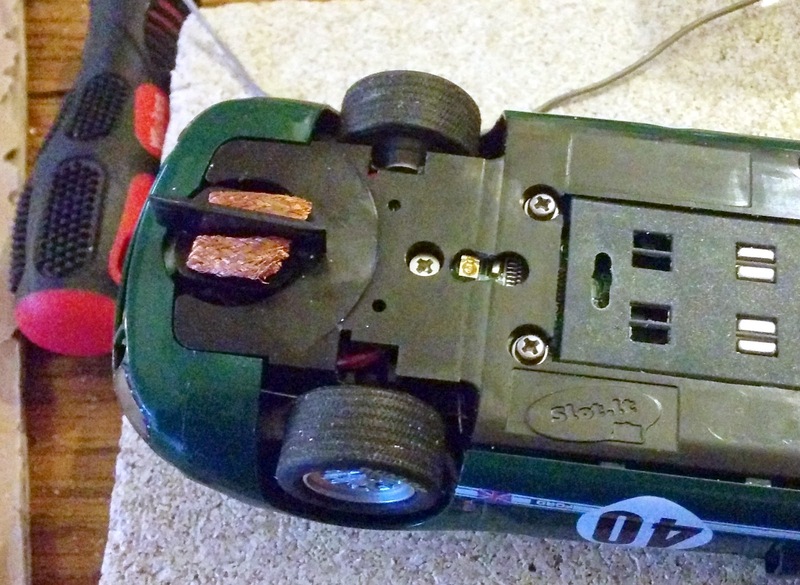 Because the leads are so short, the board moves when the car corners so the IR LED does not line up with the hole the instructions tell you to drill. In addition the socket on the chip is too tall to fit under the driver. I needed to turn the hole for the IR LED in to a long slot and cut a hole under the molded driver. That was very fiddly and took ages. 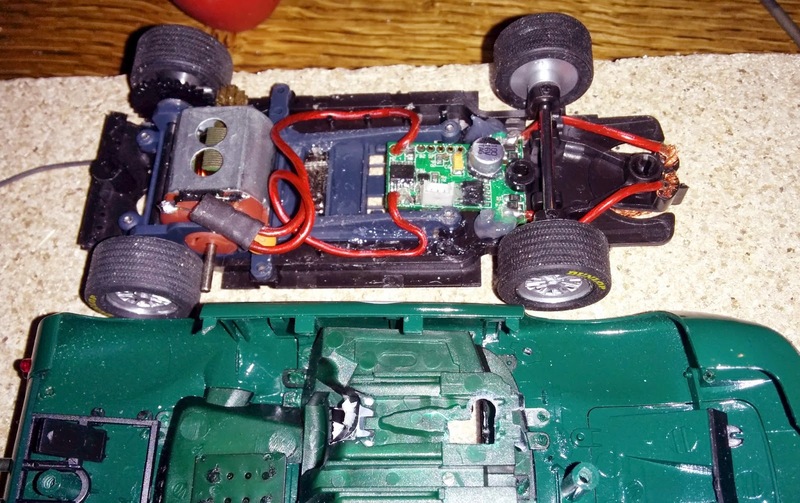 To top it off I had to re-solder the connections to the motor because the ferrite bead would not fit between the motor and the body, so I had to position it in the rear wing! The good news, once it was all together it drives nicely and looks good.